For several years, Apple’s iOS had the best parental controls in the industry, and it really wasn’t even close. They were the gold standard in smartphones and tablets. However, that can’t be said today. Amazon pushed ahead of Apple with some very sophisticated parental controls for its Fire tablets a couple of years ago. Even Google has finally recognized the value of controls and usage reporting, as they took the wraps off of new well-being centered features coming to Android later this year. With Apple’s existing Parental Controls now a step behind, it’s time for a substantial upgrade. Considering that Apple made a statement saying that changes are coming, this seems like a sure thing. For parents who want to limit their children’s exposure to the darker sides of the Internet and gain a better understanding of how much time they spend on their devices, this should be welcome news. This NEEDS to be addressed starting in iOS 12. Apple made some small improvements over the last two years, making notifications actionable and a little easier to dispense with. However, it is past time to make this system that is so often overwhelmed with clutter usable again. This is an area where Google’s Android has had an edge for a long time, and they continue to push ahead with improvements in intelligently prioritizing and categorizing your notifications for you. Apple needs to introduce similar improvements, because Notification Center can’t keep up with the load currently placed on it. There are plenty of ways that Apple can approach this, but AI and machine learning will be essential in the process. For all the high profile struggles that Siri has, Apple has implemented some useful AI and machine learning elements in iOS, such as app suggestions based on time of day and location, and the ability for the OS to recognize items like addresses or phone number, and to serve up options based on them. A logical next step is to apply these features to how notifications are presented. The way that Apple implements AI and machine learning, they should be able to handle such tasks on-device, and in a way that preserves user privacy. The issues with Notification Center may not be solved in one update, but it is important for Apple to start the process this year. Here’s another no-brainer. While this unique and fun feature is currently limited to use on the iPhone X, I still expect to see Apple demo wider use and adoption in iOS 12. With more iPhones with Face ID coming this Fall and new iPad Pros with the technology also likely on the way, WWDC is still the perfect time to show off what’s in store to a larger audience. Mark Gurman has already mentioned that Animoji may be coming to FaceTime. However, based on the popularity of screen recordings made using them, I would expect to see Animoji accessible in the Camera and/or the Clips app this year. I think that would be a big hit seen all over social media. This is more important than you might think. First of all, if an iPad Pro with Face ID and no more Home Button or TouchID is coming, then being able to unlock the tablet in landscape orientation is essential. Many iPad owners such as myself use the device in landscape the vast majority of the time, making Face ID a real logistical issue. Having to have to turn the tablet every time you want to unlock it just isn’t practical. Maybe that seems like a trivial complaint, but if you use a keyboard case like I do, it would make Face ID more of a problem than a solution. With a larger-screen iPhone also likely coming this Fall, there is even more than one reason that Face ID needs to grow up and take the next step. Apple turned expectations about augmented reality on their heads last year when it unveiled ARKit. In one day, Apple took control of the fledgling AR market and became the world’s largest usable platform for developers. However, while ARKit made for a great on-stage demo, it was definitely still in its infancy. Apple rolled out gradual improvements over the course of the last year, but I think it is safe to say that Apple will want to prove to developers that its interest in AR isn’t fleeting. I think we will see a lot of new features added, chief among them being multi-player support for games. Apple has done a nice job of adding AI and machine learning features to iOS gradually. The ones that I use, such as Siri App Suggestions, actually work very well, and make getting to certain things faster and easier. However, its time for Apple to pick up the pace and add more automation and more preference and usage-based shortcuts and enhancements throughout iOS. This is another feature that may not be fully realized until new devices hit the market. However, with plenty of Plus-sized iPhones already in circulation from four years of sales, there are still plenty of user out there who would benefit. Again, the big stage of WWDC is a great time to unveil such as feature, with even more attention coming with the release of an even larger iPhone later this year. While this feature will make for a great demo during the iOS 12 Public Beta, it becomes almost essential once a 6.5″ iPhone hits the market. That device needs to completely fill the role now held by the aging iPad Mini. The current Mini is capable of the same split-screen features that have been available since the release of the first iPad Pro, but it hasn’t been updated in a while and is likely to be phased out in the near future. To fully step into that role, the new iPhone most be capable of delivering the same feature set. Considering the improvements in iOS multitasking and the powerhouse A-series processors that power its devices, it shouldn’t be hard for Apple to implement iPhone split-screen at this point. Also, adding split-screen to its larger iPhones will give them another differentiating feature to set them apart. Add split-screen to potential Apple Pencil support, and you have a real advantage that will bring users who previously had no other choices beyond the Samsung Galaxy Note. Prior to the release of iOS 11, it was rumored that Apple was working on a “Dark Mode” for users who prefer that look and feel. The existing mode under the Accessibility features would reverse everything, including pictures, giving it limited appeal beyond whose who have no choice. Unfortunately, while Apple did address that shortcoming in Accessibility settings, it didn’t create a Dark Mode that was easy to access. The new mode simply left picture untouched, and was still an Accessibility-based feature. Based on the excitement that surrounded the potential for this feature to arrive last year, and the disappointment when it didn’t, Apple would be smart to go ahead and make it easier to access and use in iOS 12. Every year Apple seems to invest a little time and effort into one or two of its stock iOS apps, adding new features and revamping the interface. Mark Gurman previously mentioned that the Stocks app may be on the agenda for iOS 12. There were also rumors that iBooks may be due for a big update before Apple’s Education Event earlier this year. These two are pretty long in the tooth, so a fresh coat of paint makes sense. Based on Gurman’s comments, I would definitely expect big changes to the Stocks app. Apple has added some significant enhancements to the stock Notes apps over the last few years. This included several iPad-specific additions last year with iOS 11. However, one addition that still eludes us is the ability to record voice notes within a note. Considering that text and digital ink are treated equally in Notes, and that so many third-party note taking apps include this feature, this is an odd omission. It is even more puzzling since the Voice Memos app is still just as barebones and limited as it has always been. 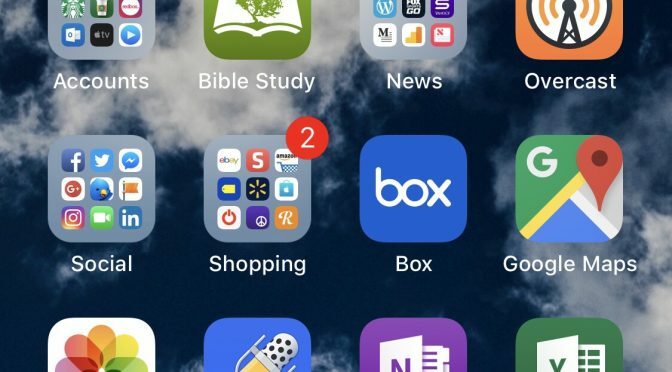 The marriage of these two apps seems inevitable, but the question is when. Apple opened up access to Apple News a while ago, and it is fairly easy to automatically publish news content generated elsewhere to the service. However, publishers are currently limited to a barebones editor that is only available from within iCloud.com to publish original content directly to Apple News. Ironically, this editor can’t even be accessed directly from an iPad. That is less than idea for someone such as myself, who does as much writing as possible from an iPad Pro. I currently have to ether get out a laptop or use a Remote Desktop app on my iPad to publish to Apple News. It is clear from their purchase of Texture that Apple still has very big plans to expand News beyond its current form. While a paid subscription for magazine content is a great way for Apple to do this, there are other directions they can take it, as well. Making it easier for certified developers to publish content directly and independently to News will bring more free and open content to the service, helping it to expand in both the paid and free directions. The easiest way to do this is to make it easier to publish content to the service directly from iOS devices. Removing the friction of requiring a computer to publish to Apple News would lower a barrier to entry. Either creating an iOS app for publishing to to Apple News, or just adding the capability to the existing Pages app, would allow Apple to create a much more feature-rich experience than publishers currently have with their web interface. I’ve been begging for this one for years, but it just doesn’t seem like Apple is interested. There is a system for multi-user support for iPads used in education, but it requires a remote server and the accounts are actually managed there, rather than on the device. For families that share devices, it certainly would be a major improvement to have basic user support, even if it was just centered on children. Couple this with the likely improvements coming to parental controls, and you would have a great way to manage kids usage of Apple’s tablets. This list of potential features for iOS 12 isn’t exhaustive, nor do I have any inside information of any kind. I’m sure we won’t get them all, and I’m certain there will be several other enhancements that I didn’t predict or ask for shown on stage. However, I think the items on this list are all worthwhile features and apps that should ALL be addressed by Apple at some point. Whether these features will come this year or further in the future is anyone’s guess today, but I look forward to finding out more one week from today!